To better the lives of children by encouraging the use of their imagination and strengthening their social, emotional, cognitive, intellectual, and physical development while providing a safe environment for children to play, learn, and open their minds. 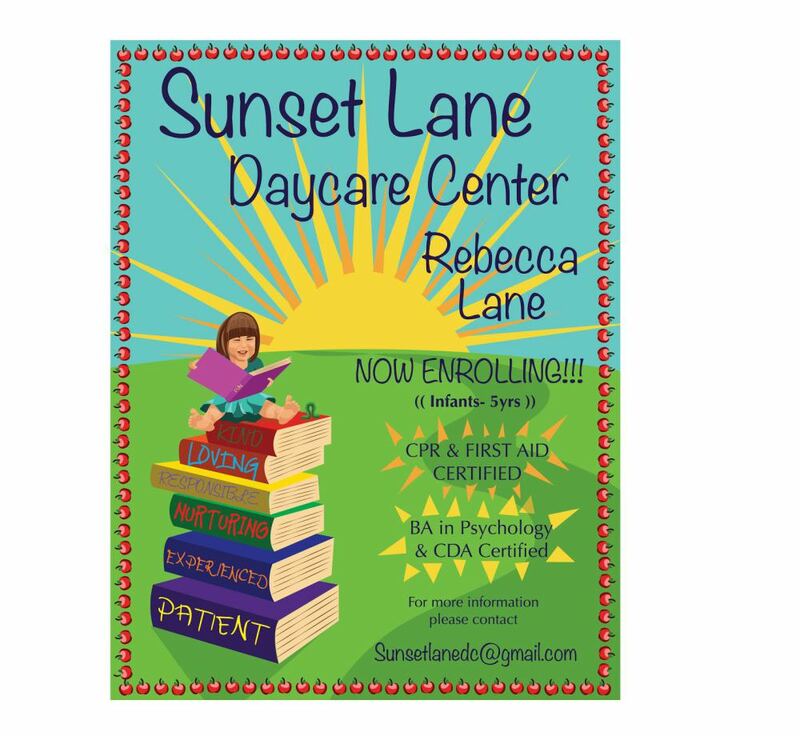 The Sunset Lane Daycare Center is an in home daycare that will fill your child's developmental needs. We are experienced to guide and encourage each child through learning, based on a carefully and creatively planned curriculum. The safe and friendly environment is designed for every child's needs. Our goal is to fill the room with smiles and laughter, while filling your child's mind with learning experiences.